Stephano offers a discount of 50% on their first / introductory lesson! 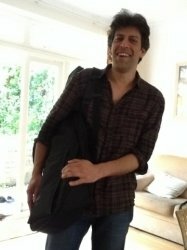 I'm a lifelong guitarist currently with my playing time split between special needs music colleges, guitar lessons and session work. I have performed live in just about every setting imaginable. My own playing is influenced by Rock, Jazz, Blues, Eastern music, African music and funk. Teaching guitar for over 15 years and to people of all ages and musical interests, including exam prep. We meet once and if you wish to proceed we agree on what we wish to cover over the coming weeks. I like to teach skills but balanced with songs you dig. Theory is only included where it helps and not for its own sake. I do prepare students for exams though, if that is something that interests you.